What is the Charge of CVC 14601.1? 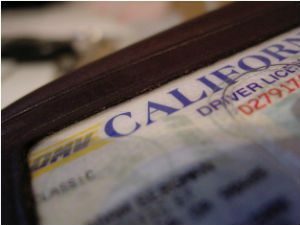 California Vehicle Code 14601.1 is a California Traffic Misdemeanor alleging that a person drove when their license is suspended. In order to prove this offense the prosecution must show the following elements. If you have been charged with engaging in a CVC 14601.1, we can help. We have successfully defended hundreds of these very serious misdemeanors. We have the knowledge and skill to make a significant difference in the outcome of your case. In a 14601.1 case, the most contested issue is knowledge. If you did not know that your license was suspended when you were pulled over, than you are not guilty of the offense. The burden is on the prosecution to prove this element. If you get pulled over, do not make any incriminating statements indicating that you knew of the license suspension. The DL-310 is an extremely important document in a 14601.1 case. The DL-310 is a form from the DMV that a police officer personal serves on a person who’s license is suspended. It’s used by the prosecution to prove that the person had knowledge of the suspension. If that document had not been served at the time of the arrest or ticket, then the prosecution may have a giant hole in their case. Often times a traffic misdemeanor can be favorably resolved with some creative plea bargaining. Plea bargaining is where the defendant pleads to lesser charges to avoid the penalties of the more severe charges. In a 14601.1 case a common plea bargain is where the prosecution allows the defendant to plead to an infraction Vehicle Code 12500(a) – Unlicensed Driver. The defendant pays a small fine but avoids DMV points and a criminal record. Plea bargaining doesn’t happen automatically. It requires a skilled negotiator and advocate to convince the prosecution to reduce the charges. If you are charged with a Traffic Misdemeanor or DUI, hire California’s best traffic law firm. We can help you get a great result on your case. To learn more about our procedures and how we can represent you, call the California Ticket King, PC at 877-985-0002 or email our attorneys at info@caticketking.com.